Estimated completion Feb 2019. 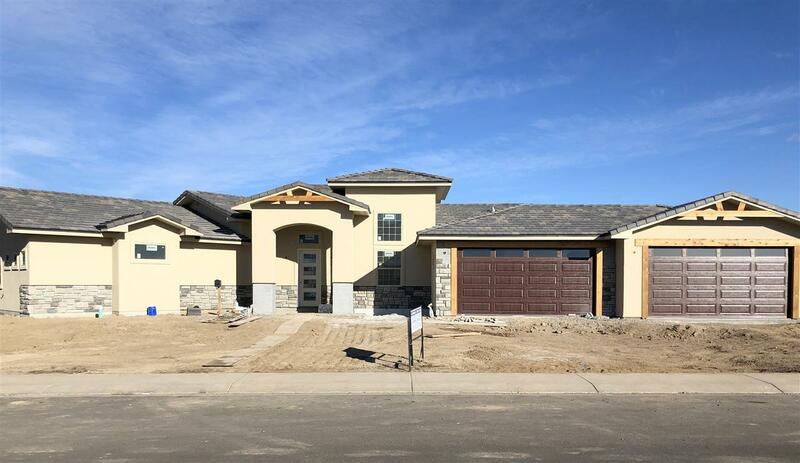 Parade of Homes 2018 neighborhood next to the Adobe Creek Golf Course! Masterfully designed, open floor plan 5 bedroom home, or 4 bedrooms and an office. Many extras included that you&apos;d expect in a much more expensive home: lots of big windows, a 5 pc master bath, split floor plan, QUARTZ countertops, and a striking rock fireplace as the focal point in the dining/living area. From the kitchen, walk through to the 173 sf covered back patio, which includes a gas oven bbq outlet. Common area has a 3 acre park that includes a gazebo, walking trails, ponds, and water falls. Luxurious living!